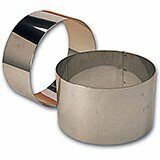 Stainless steel ring molds offer a variety of baking benefits in addition to being highly resistant to stains, rust, corrosion and scratching. 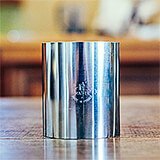 Stainless steel is also nonreactive and will not release any harmful chemicals or traces of metal into the things you bake. 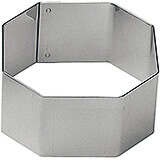 These ring molds are easy to clean and durable for home or business use. 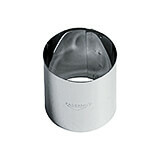 Adjustable Ring Mold. Any kitchen that is regularly baking tarts should have a number of these baking rings on hand and ready to use when the next baking cycle starts. Made of stainless steel. Bottomless to use directly on cookie sheet or to assemble layered cakes. Measurements: 7" (177 mm) to 14 1/8" (360 mm) Diam. x 2" H. Weight: 14 oz. 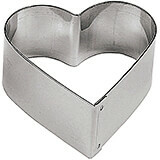 This ring mold is deep enough to make bread bowls and serve delicious dips or soups inside. Made of stainless steel. Bottomless. Bakes high country breads to use as serving bowls (bread bowl) for dips. After hollowing, removed bread can be used to make sandwiches to be displayed in crust. Measurements: 7 7/8" Diam. x 3 9/16" H. Weight: 1 lb. 3.5" X 3.5" X 1.125"
Stainless Steel Entremet / Dessert Ring , 10.25"
10.25" X 10.25" X 1-3/8"
Stainless Steel Entremet / Dessert Ring , 11"
11" X 11" X 1-3/8"
Stainless Steel Entremet / Dessert Ring , 11.88"
11.88" X 11.88" X 1-3/8"
Stainless Steel Entremet / Dessert Ring , 5.5"
5.5" X 5.5" X 1-3/8"
Stainless Steel Entremet / Dessert Ring , 6.25"
6.25" X 6.25" X 1-3/8"
Stainless Steel Entremet / Dessert Ring , 7.13"
7.12" X 7.12" X 1-3/8"
Stainless Steel Entremet / Dessert Ring , 7.88"
7.88" X 7.88" X 1-3/8"
Stainless Steel Entremet / Dessert Ring , 8.63"
8.62" X 8.62" X 1-3/8"
Stainless Steel Entremet / Dessert Ring , 9.5"
9.5" X 9.5" X 1-3/8"
2.375" X 2.375" X 1.125"
Stainless Steel High-sided Rectangular Pastry Ring, 4.75"
4.75" X 2.375" X 1.75"
Stainless Steel Ice Cream Cake Ring Mold, 10.25"
10.25" X 10.25" X 2.38"
Stainless Steel Ice Cream Cake Ring Mold, 11"
11" X 11" X 2.38"
Stainless Steel Ice Cream Cake Ring Mold, 2.38"
2.38" X 2.38" X 2.38"
Stainless Steel Ice Cream Cake Ring Mold, 6.25"
6.25" X 6.25" X 2.38"
Stainless Steel Ice Cream Cake Ring Mold, 7.12"
7.12" X 7.12" X 2.38"
Stainless Steel Ice Cream Cake Ring Mold, 7.88"
Stainless Steel Ice Cream Cake Ring Mold, 8.62"
8.62" X 8.62" X 2.38"
Stainless Steel Ice Cream Cake Ring Mold, 9.5"
Stainless Steel Ice Cream Or Cake Ring Mold, 10.75"
Ice Cream or Cake Ring. Made of stainless steel. Bottomless for quick and easy removal of cake. Indispensable for layered ice cakes. This high mold is also perfect to assemble cakes. Measurements: 10 1/4" Diam. x 2 3/8" H. Weight: 1 lb. 1 oz. Stainless Steel Ice Cream Or Cake Ring Mold, 11"
Ice Cream or Cake Ring. Made of stainless steel. Bottomless for quick and easy removal of cake. Indispensable for layered ice cakes. This high mold is also perfect to assemble cakes. Measurements: 11" Diam. x 2 3/8" H. Weight: 1 lb. 6 oz. Stainless Steel Ice Cream Or Cake Ring Mold, 11.75"
Ice Cream or Cake Ring. Made of stainless steel. Bottomless for quick and easy removal of cake. Indispensable for layered ice cakes. This high mold is also perfect to assemble cakes. Measurements: 11 3/4" Diam. x 2 3/8" H. Weight: 1 lb. 8 oz. Stainless Steel Ice Cream Or Cake Ring Mold, 4.75"
Ice Cream or Cake Ring. Made of stainless steel. Bottomless for quick and easy removal of cake. Indispensable for layered ice cakes. This high mold is also perfect to assemble cakes. Measurements: 4 3/4" Diam. x 2 3/8" H. Weight: 6 oz. 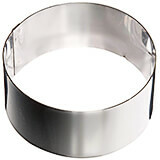 Stainless Steel Ice Cream Or Cake Ring Mold, 5.5"
Ice Cream or Cake Ring. Made of stainless steel. Bottomless for quick and easy removal of cake. Indispensable for layered ice cakes. This high mold is also perfect to assemble cakes. Measurements: 5 1/2" Diam. x 2 3/8" H. Weight: 8 oz. Stainless Steel Ice Cream Or Cake Ring Mold, 6.75"
Ice Cream or Cake Ring. Made of stainless steel. Bottomless for quick and easy removal of cake. Indispensable for layered ice cakes. This high mold is also perfect to assemble cakes. Measurements: 6 1/4" Diam. x 2 3/8" H. Weight: 9 oz. Stainless Steel Ice Cream Or Cake Ring Mold, 7.12"
Ice Cream or Cake Ring. Made of stainless steel. Bottomless for quick and easy removal of cake. Indispensable for layered ice cakes. This high mold is also perfect to assemble cakes. Measurements: 7 1/8" Diam. x 2 3/8" H. Weight: 10 oz. Stainless Steel Ice Cream Or Cake Ring Mold, 7.87"
Ice Cream or Cake Ring. Made of stainless steel. Bottomless for quick and easy removal of cake. Indispensable for layered ice cakes. This high mold is also perfect to assemble cakes. Measurements: 7 7/8" Diam. x 2 3/8" H. Weight: 11 oz. 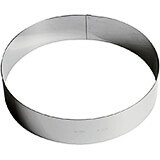 Stainless Steel Ice Cream Or Cake Ring Mold, 8.75"
Ice Cream or Cake Ring. Made of stainless steel. Bottomless for quick and easy removal of cake. Indispensable for layered ice cakes. This high mold is also perfect to assemble cakes. Measurements: 8 3/4" Diam. x 2 3/8" H. Weight: 14 oz. Stainless Steel Ice Cream Or Cake Ring Mold, 9.5"
Ice Cream or Cake Ring. Made of stainless steel. Bottomless for quick and easy removal of cake. Indispensable for layered ice cakes. This high mold is also perfect to assemble cakes. Measurements: 9 1/2" Diam. x 2 3/8" H. Weight: 15 oz. 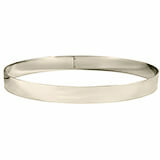 Stainless Steel Mousse Ring, 10.25"
This mousse ring is suited for assembling the delicate mixture of mousse or for baking. As presentation plays a pivotal role in any professional set up, this mousse ring is the perfect kitchen tool for any restaurant or at home. Made of stainless steel. For layered and sponge cakes. For baking, place mold directly on cookie sheet. Measurements: 10 1/4" Diam. x 1 3/4" H. Weight: 13 oz. 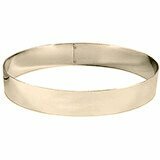 Stainless Steel Mousse Ring, 11.75"
This mousse ring is suited for assembling the delicate mixture of mousse or for baking. As presentation plays a pivotal role in any professional set up, this mousse ring is the perfect kitchen tool for any restaurant or at home. Made of stainless steel. For layered and sponge cakes. For baking, place mold directly on cookie sheet. Measurements: 11 3/4" Diam. 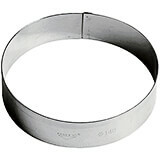 x 1 3/4" H. Weight: 1 lb. 1 oz. 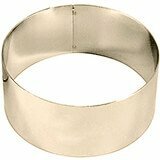 Stainless Steel Mousse Ring, 2" X 3.5"
Stainless Steel Mousse Ring, 3"
This mousse ring is suited for assembling the delicate mixture of mousse or for baking. As presentation plays a pivotal role in any professional set up, this mousse ring is the perfect kitchen tool for any restaurant or at home. Made of stainless steel. For layered and sponge cakes. For baking, place mold directly on cookie sheet. Measurements: 3" Diam. x 1 1/2" H. Weight: 2 oz. 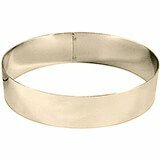 Stainless Steel Mousse Ring, 3" X 3.5"
Stainless Steel Mousse Ring, 3.25"
This mousse ring is suited for assembling the delicate mixture of mousse or for baking. As presentation plays a pivotal role in any professional set up, this mousse ring is the perfect kitchen tool for any restaurant or at home. Made of stainless steel. For layered and sponge cakes. For baking, place mold directly on cookie sheet. Measurements: 3 1/4" Diam. x 1 3/4" H. Weight: 3 oz. 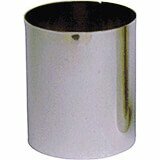 Stainless Steel Mousse Ring, 4.75"
This mousse ring is suited for assembling the delicate mixture of mousse or for baking. As presentation plays a pivotal role in any professional set up, this mousse ring is the perfect kitchen tool for any restaurant or at home. Made of stainless steel. For layered and sponge cakes. For baking, place mold directly on cookie sheet. Measurements: 4 3/4" Diam. x 1 3/4" H. Weight: 5 oz. 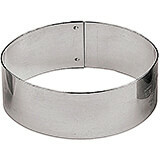 Stainless Steel Mousse Ring, 5.5"
This mousse ring is suited for assembling the delicate mixture of mousse or for baking. As presentation plays a pivotal role in any professional set up, this mousse ring is the perfect kitchen tool for any restaurant or at home. Made of stainless steel. For layered and sponge cakes. For baking, place mold directly on cookie sheet. Measurements: 5 1/2" Diam. x 1 3/4" H. Weight: 6 oz. Stainless Steel Mousse Ring, 6.25"
This mousse ring is suited for assembling the delicate mixture of mousse or for baking. As presentation plays a pivotal role in any professional set up, this mousse ring is the perfect kitchen tool for any restaurant or at home. Made of stainless steel. For layered and sponge cakes. For baking, place mold directly on cookie sheet. Measurements: 6 1/4" Diam. x 1 3/4" H. Weight: 6 oz. 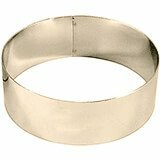 Stainless Steel Mousse Ring, 7.12"
This mousse ring is suited for assembling the delicate mixture of mousse or for baking. As presentation plays a pivotal role in any professional set up, this mousse ring is the perfect kitchen tool for any restaurant or at home. Made of stainless steel. For layered and sponge cakes. For baking, place mold directly on cookie sheet. Measurements: 7 1/8" Diam. x 1 3/4" H. Weight: 7 oz. 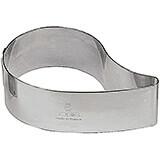 Stainless Steel Mousse Ring, 8"
This mousse ring is suited for assembling the delicate mixture of mousse or for baking. As presentation plays a pivotal role in any professional set up, this mousse ring is the perfect kitchen tool for any restaurant or at home. Made of stainless steel. For layered and sponge cakes. For baking, place mold directly on cookie sheet. Measurements: 8" Diam. x 1 3/4" H. Weight: 8 oz. 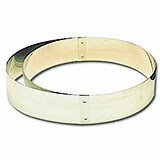 Stainless Steel Mousse Ring, 8.75"
This mousse ring is suited for assembling the delicate mixture of mousse or for baking. As presentation plays a pivotal role in any professional set up, this mousse ring is the perfect kitchen tool for any restaurant or at home. Made of stainless steel. For layered and sponge cakes. For baking, place mold directly on cookie sheet. Measurements: 8 3/4" Diam. x 1 3/4" H. Weight: 11 oz. Stainless Steel Mousse Ring, 9.5"
This mousse ring is suited for assembling the delicate mixture of mousse or for baking. As presentation plays a pivotal role in any professional set up, this mousse ring is the perfect kitchen tool for any restaurant or at home. Made of stainless steel. For layered and sponge cakes. For baking, place mold directly on cookie sheet. Measurements: 9 1/2" Diam. x 1 3/4" H. Weight: 12 oz. 3" X 1.875" X 1.125"
Stainless Steel Pastry / Dessert Ring Mold, 10.25"
Our pastry and baking rings are a great addition to your kitchen to prepare the perfect Entremet or Dessert! Made of stainless steel. 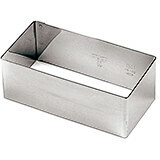 Bottomless mold for baking of various simple pastries, such as pastry shell or sponge cake, directly on cookie sheet. Frames can also be used to assemble mousse cakes or layered sponge cakes with fillings. Measurements: 10 1/4" Diam. x 1 3/8" H. Weight: 10 oz.